10 years ago this 750 year old Boab tree was in the Kimberley and needed to be relocated due to works on the Great Northern Highway. 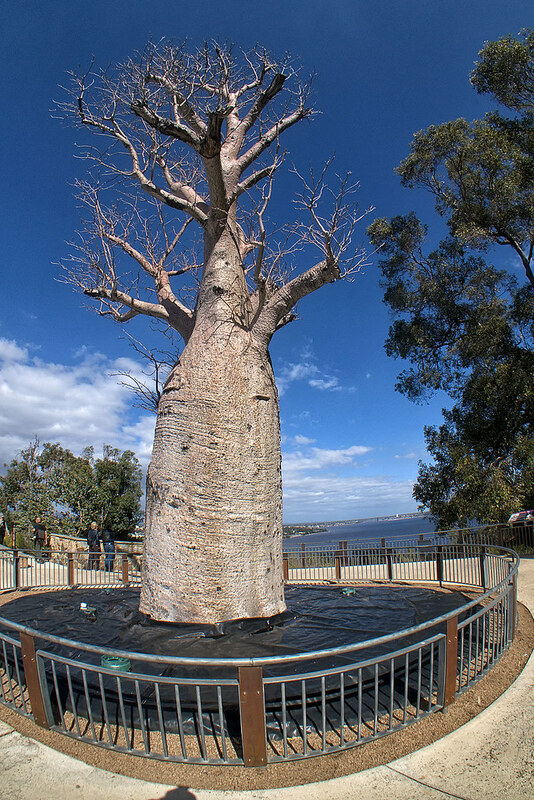 It was moved 3,200 kilometres to Kings Park in the centre of Perth where hopefully it will stay for another 750 years. Amazing wot grows wings these days !! Thanks Phil, I used the Sony Fisheye converter designed for their 16mm kit lens on the 18-55 kit lens, it is OK at the short end but get a little odd at the long end, even more so on the 55-210 kit lens. Amazing tree. It has survived a lot and I am sure that it will leave for another 750 years. Honestly, it doesn't look too good. It is spring down there right? Maybe you can re-visit the tree when it blooms. It is doing well, it was relocated from the tropics which is just entering the wet season while down here in Perth we are just starting the dry. The Boab only flowers in Perth once a year for a few weeks in March/April.